April 30 - Sunshine & 85 degrees! Arrived in Illinois to sunny skies and warm weather. 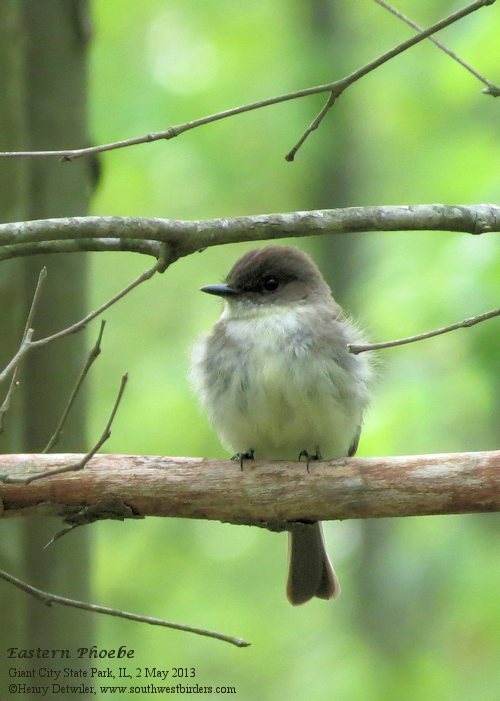 Stopping briefly at Pyramid State Park and Perry County Conservation Area on my way south to Carbondale, I had Northern Bobwhite, lots of Eastern Phoebes, and a rare Bay-breasted Warbler--the trip was off to a good start! On Wednesday I started early at Lake Murphysboro State Park with Pine, Palm, and Blackpoll Warblers, Warbling Vireos, and a number of residents. 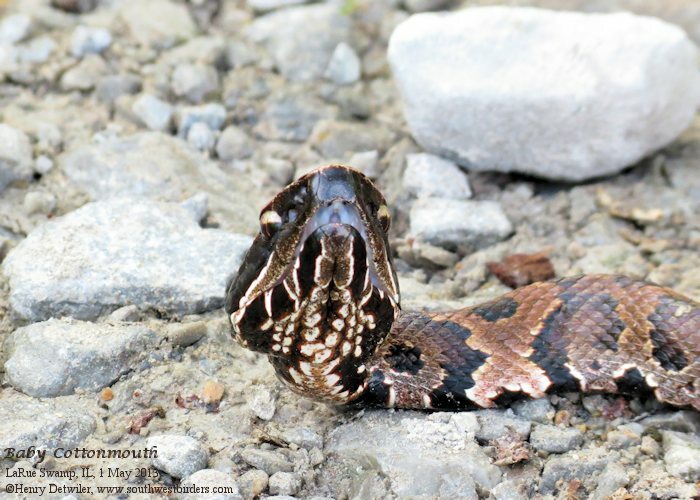 Moving on to Oakwood Bottoms the conditions were excellent for marsh denizens. 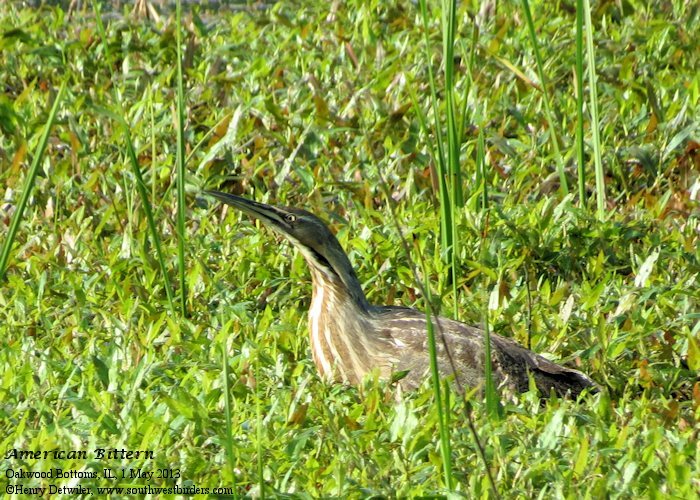 One American Bittern was hunting next to the road and another was on the far side of the impoundment. 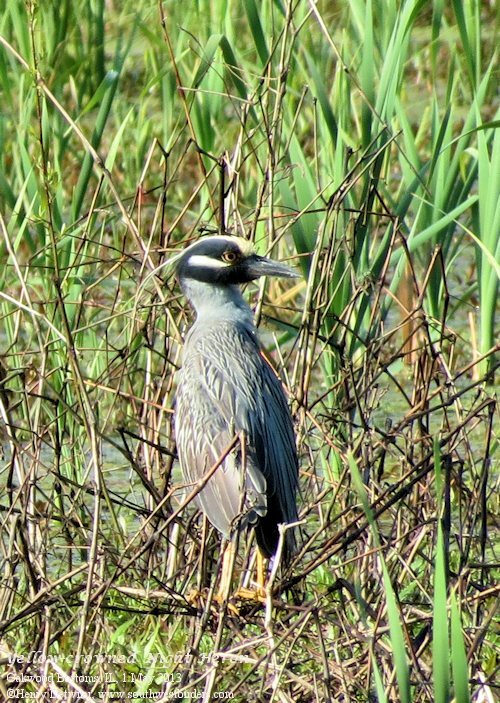 In another spot a Yellow-crowned Night Heron was searching for breakfast right out in the open. I met Cindy and John from northern Illinois and we swapped bird sightings; as we talked one of the Mississippi Kites that they'd just seen circled back around to show off. 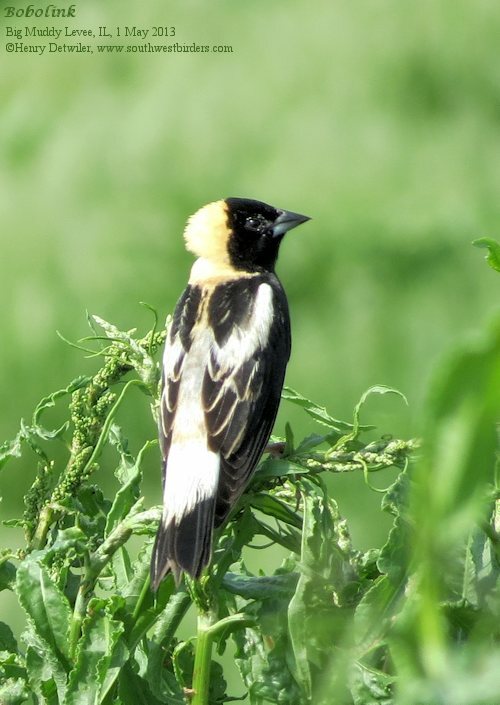 Along the Big Muddy River levee were many flocks of Bobolinks--many more than I've ever seen in southern Illinois before! 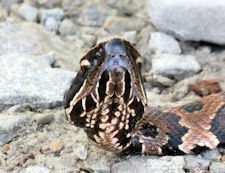 I spent the rest of the morning at LaRue Swamp, where I added Kentucky Warbler and a young water moccasin (cottonmouth). A Gray Catbird was species #98, after which I headed back to Carbondale for lunch with my folks. 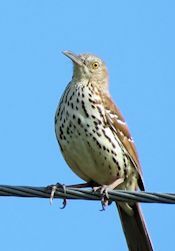 Yard work and a trip to the grocery store garnered Song Sparrow, a flock of Cedar Waxwings, and Rock Pigeon to top off my day list at 101 species. Early Thursday morning I started out at Cave Creek (along the road to Pomona Natural Bridge) and was happy to hear and then see a Cerulean Warbler. 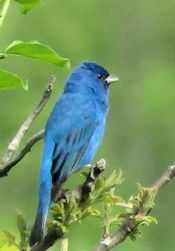 Since this is the second year in a row the Cerulean has been singing here, hopefully they are breeding. Over at Giant City State Park I watched my first Broad-winged Hawk for the area soaring overhead. 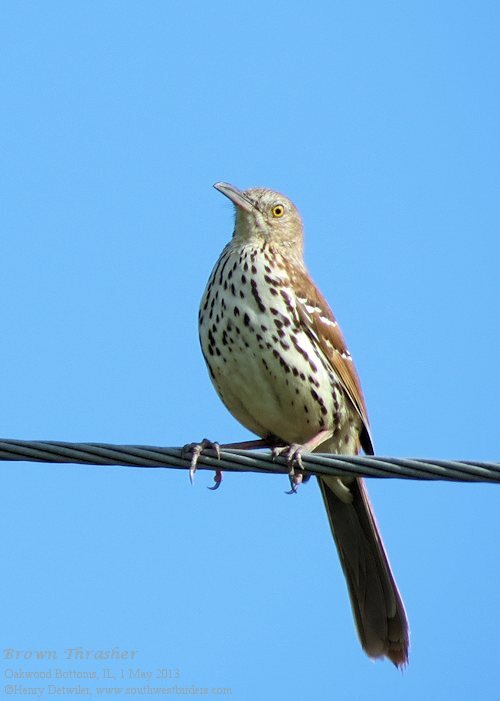 Other nice birds were Rose-breasted Grosbeak, Worm-eating Warbler, and Louisiana Waterthrush. Beautiful flowers lined the trails: red and white trilliums, may flowers, and woodland phlox. 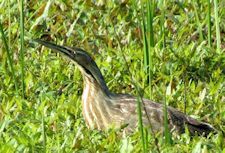 At Crab Orchard NWR the Double-crested Cormorant colony continues to thrive, and a large flock of American White Pelicans was bobbing in the water. Rain and chilly weather were our constant companions as Roger and I drove south to Giant City. 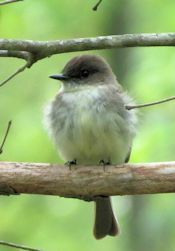 We braved the wet conditions several time to better listen to the Worm-eating Warblers, thrushes, and flycatchers. Down at the Cave Creek location we listened in vain for the Cerulean Warbler, but farther up the road we did hear Pine Warbler and Ovenbird. We also managed a lot of the residents, including a member of the burgeoning population of Wild Turkey. 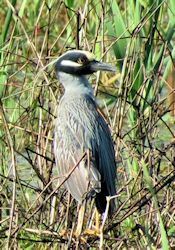 We headed down to the Union County Conservation Area to drive the levee in search of Mississippi Kite. We missed them, but did meet up with Vernon Kleen. 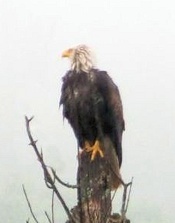 Close to Lyerla Lake we had a very wet adult Bald Eagle. 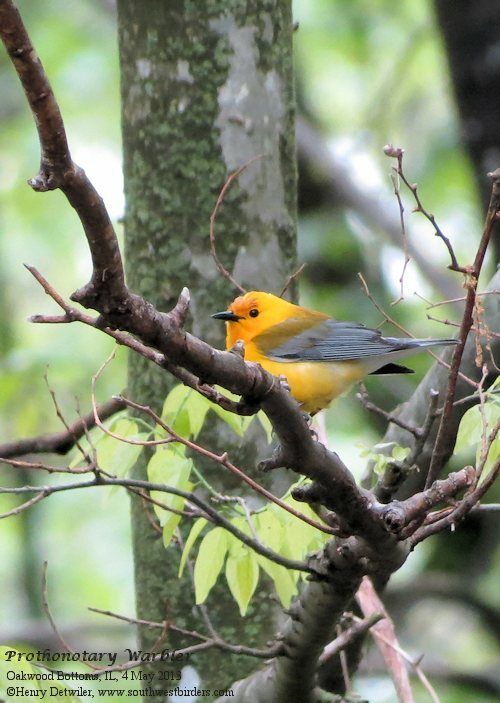 As we were about to leave the refuge, we finally had excellent looks at the striking Prothonotary Warbler, which we'd been hearing all morning. Saturday morning started out misty and 42 degrees. 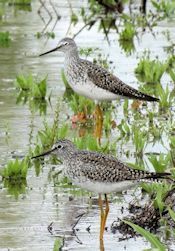 Fortunately the rain abated, and Roger and I were able to see a fine selection of birds. 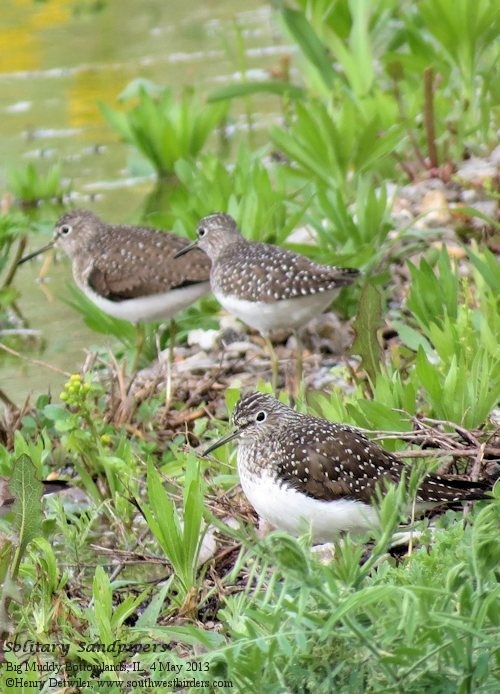 As we spotted our quarry, Roger recorded them for the Illinois migratory bird count. 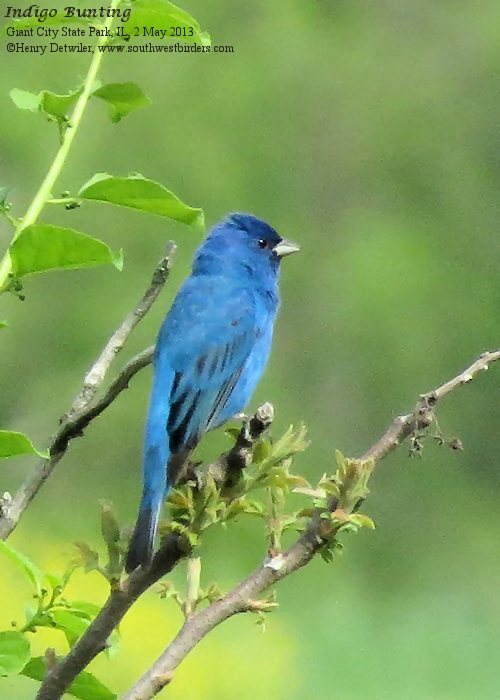 We started out at Lake Murphysboro State Park with good numbers of egrets, a Green Heron, a Barred Owl, swallows, vireos, warblers, flycatchers, and a pair of dueling geese. 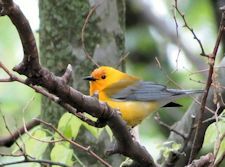 At Oakwood Bottoms we added a number of resident species and a got a great look at a gem of a Yellow-throated Warbler. 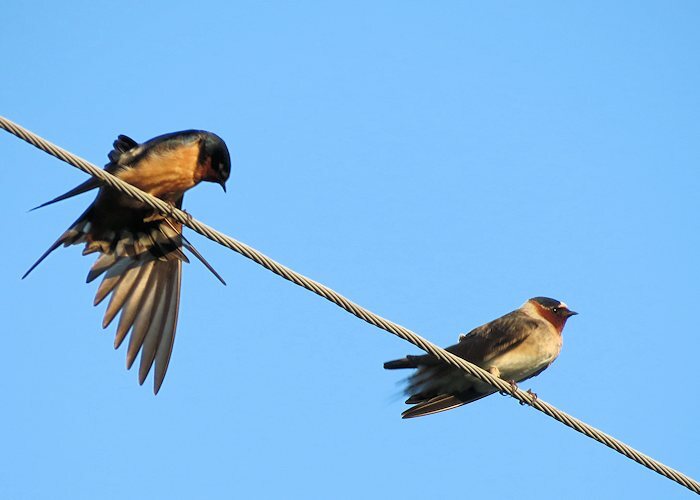 The agricultural fields were flooded in many spots, creating a smorgasbord for Tree, Cliff, Barn, and the odd Northern Rough-winged and Bank Swallows. 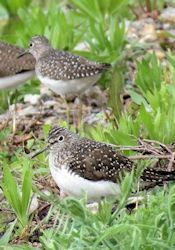 Along the gravel road in the newly-created Big Muddy Bottomlands were a flock of 11 Solitary Sandpipers and 2 Lesser Yellowlegs. Even more surprising was a calling Least Bittern, and a short while later, a Sora! 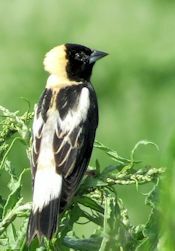 Along the Big Muddy Levee were more flocks of colorful Bobolinks and good numbers of singing (buzzing?) Dickcissels. 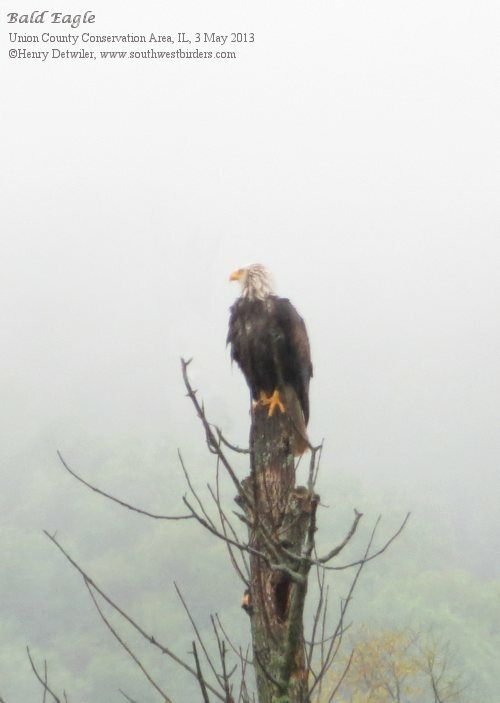 An immature Bald Eagle was scanning the river from a dead snag. The final new bird for the day was American White Pelican; a flock of 45 was soaring above Rt. 3. We finished our count at 12:30 p.m. with a respectable 104 species for the morning. Sunday morning was the rainiest day yet, so I did a bit of scouting for new birding spots. The water treatment facility east of town on Old Rt 13 looked great, even in the rain--looking forward to visiting that location on all future trips. Monday was overcast but warmer, and I birded my way up to St. Louis. At the Columbia River Bottom Conservation Area I located a Eurasian Tree Sparrow at the visitor center and then took the loop drive through the bottoms. 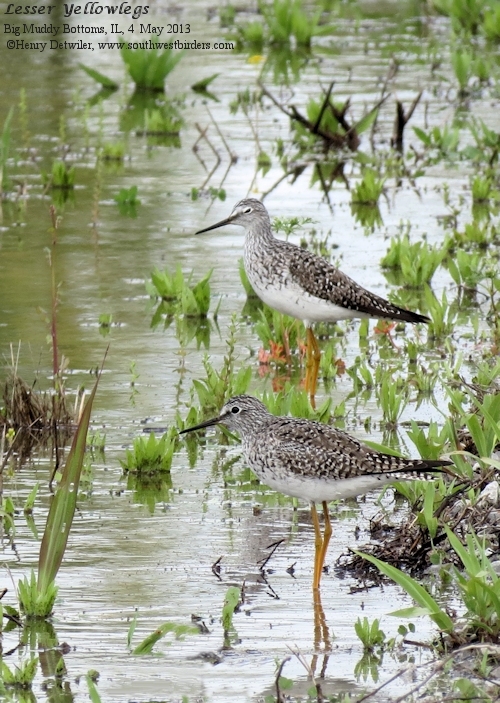 Lesser Yellowlegs were out in force, with a total of 40 birds found in just two flooded areas. And then it was off to the airport and back to Yuma. It had been a great visit with my parents and fine time birding with Roger!